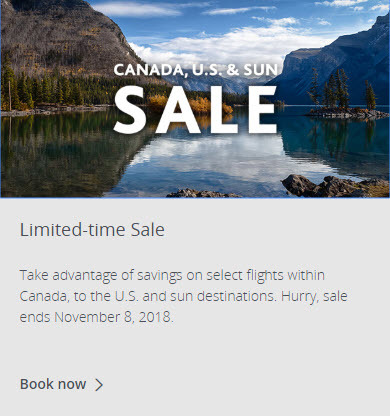 Air Canada is having a Limited Time Seat Sale. For a limited-time, take advantage of savings on select flights within Canada, to the U.S. and sun destinations. Hurry, sale ends November 8, 2018.